There was a decent sized flock of birds near Merrill Rock, when we arrived. Unfortunately for the photographer who desires to get close up shots of such birds, little kids tend not to be the most subtle upon approach. 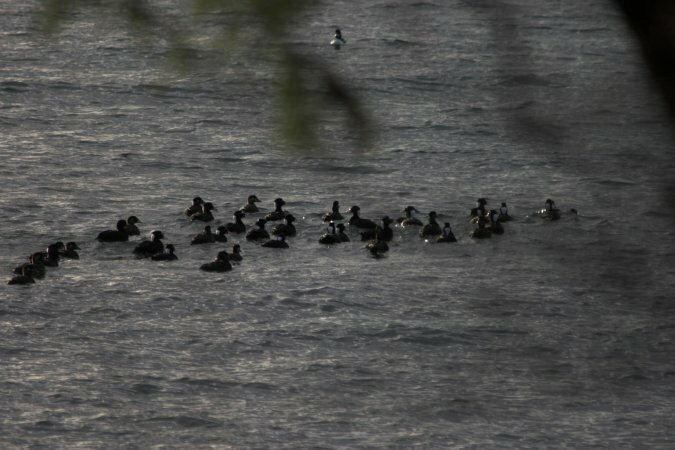 The birds in this photo are almost all Surf Scoters, but there is at least one black scoter amoung them.